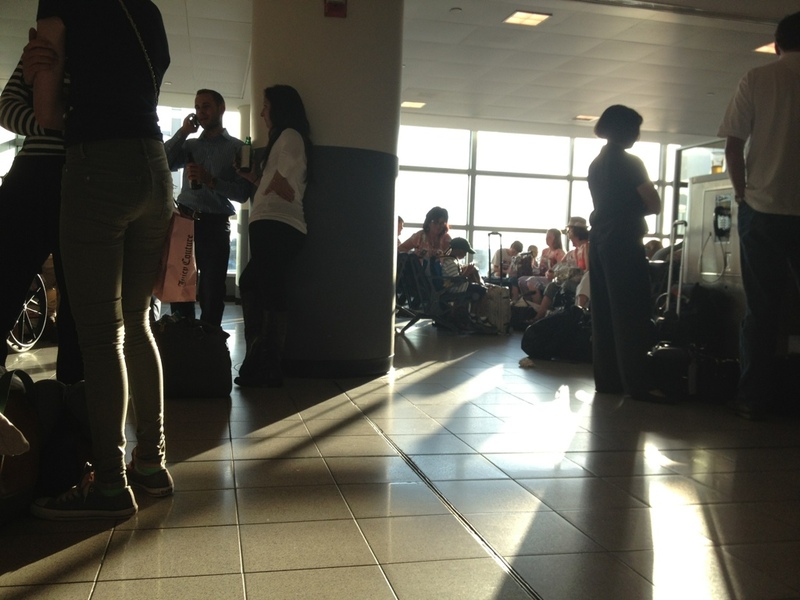 I’m sitting at JFK, waiting to board an international flight. Exactly ten years ago, I was in this very same place, having roadtripped from Texas to NYC to hop a flight for a semester in London. I tend to think of this as my Sliding Doors moment. My family life was in shambles. My best friend accused me of running away from my problems. I was demonstrating the early signs of an alcohol addiction. The guy I was traveling with, my partner in crime, cared so little about me that months later, after we had seen the world together and arrived back in Texas, he would abandon me at the baggage carousel in Houston airport so his family wouldn’t see us leaving the arrivals gate together. I often think that the decision to get on that plane ten years ago was the point of no return. Up until then, it might have been possible to turn things around. I could have spent more time with my family; I know I was not capable of fixing everything, but I would have equally shared in the suffering. I might have gotten my grades up, maybe taken an internship that would have advanced my career. I would have waited to turn 21 like every other American, instead of jumping the queue by spending a semester in a country with a lower drinking age. I know, I know: hindsight is 20/20. It’s possible I just had to struggle, regardless of location or which friends were by my side or the relative ease of access to alcohol. I believe I simply had to wander aimlessly for a while. I think this is where the timelines merge. If we end up where we’re supposed to, no matter our mistakes, then this is where it all starts to make sense. Instead of looking back on this as a moment I regret, I can look back at this as the moment when I finally came into my own. If that someone had then told me I would be in this very same airport, heading to Ireland for grad school… I think I would have been okay with that. This entry was posted in You Are Here and tagged airport, Fate, travel by Mandy. Bookmark the permalink.